Mustang Hubcap design - A Mustang inspired miniature hubcap design for the Ford and 'Stang lovers. Solid chunky piece that looks hot on any chain. 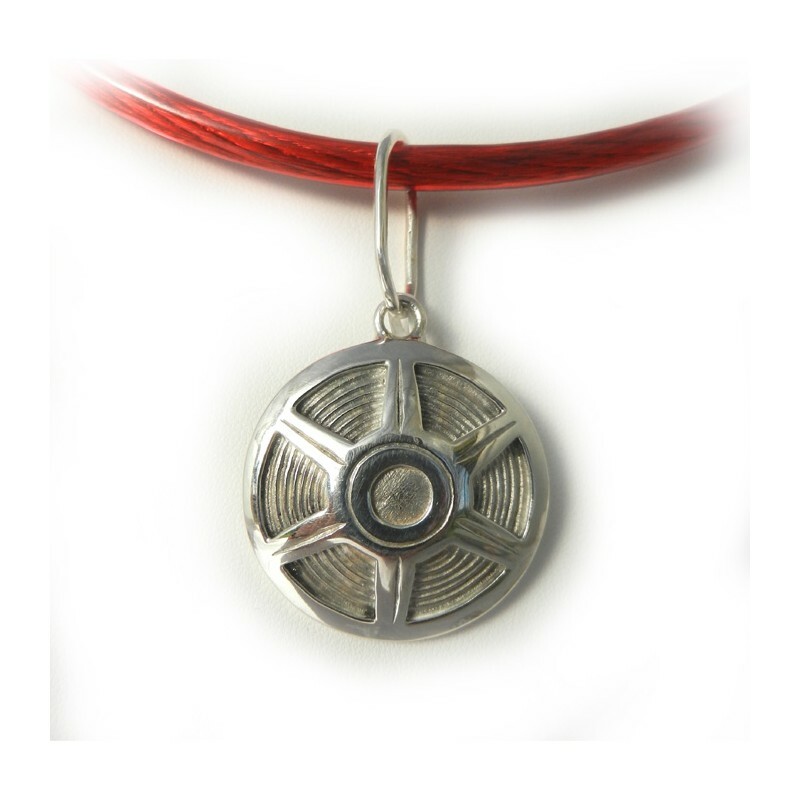 Generous silver wire bale (loop) at the top of the hubcap can accommodate a variety of chain thicknesses. Designed and made by Karen Ryder in Australia. There are also Ford Mustang and other Ford Muscle car front end rings too! Mustang Hubcap design - An Mustang inspired miniature hubcap design for the 'Stang lovers. Solid chunky piece that looks hot on any chain. Generous silver wire bale (loop) at the top of the piece can accommodate a variety of chain thicknesses. 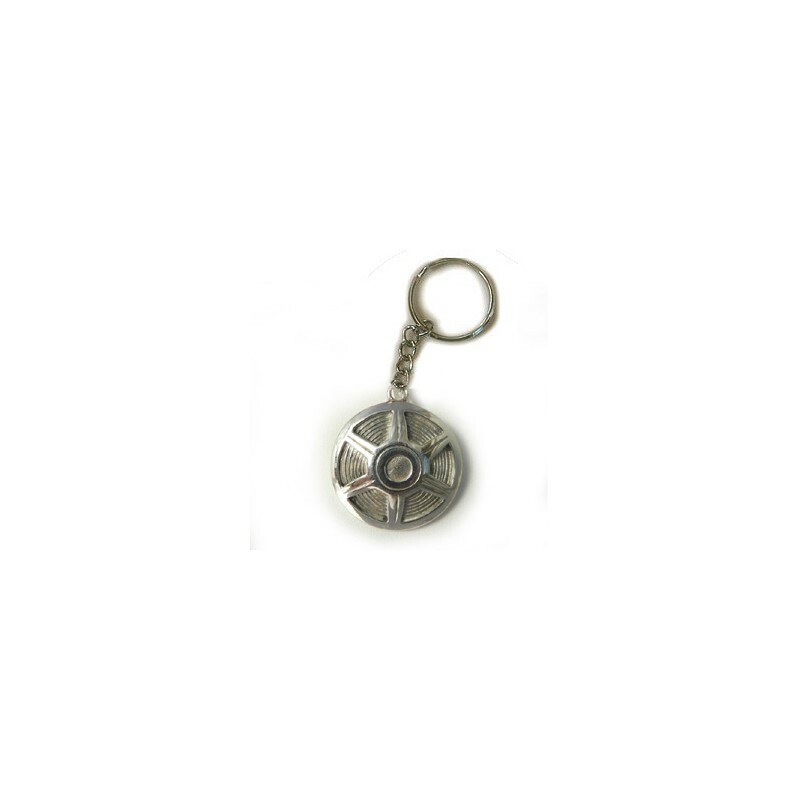 This piece is shown here in solid sterling silver however it is also available in brass, gold or bronze. Can be purchased as a keyring or pendant. 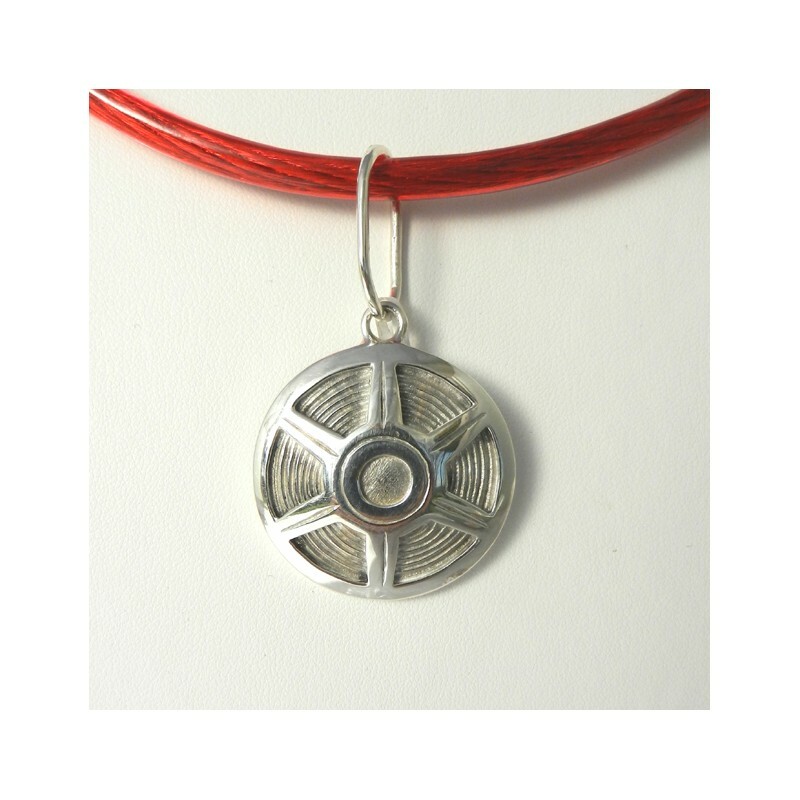 Red Speaker cable choker with sterling silver ends is also available for sale. There are also Ford front end rings too!